Grissom and Charlie. An icon I made for a pick, but I liked it so I thought I'd post. Relevant to "Two and a Half Deaths". 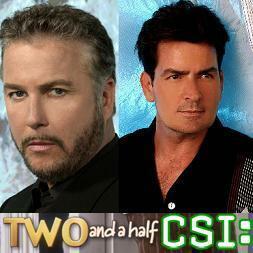 Wallpaper and background images in the CSI club tagged: csi gil grissom charlie harper william petersen charlie sheen two and a half men two and a half deaths fish in a drawer.